Explain topic Prezi presentation template. Includes a chalk drawn black and white vector mathematical and science elements. Build up a team play or fun test with this animated prezi template. 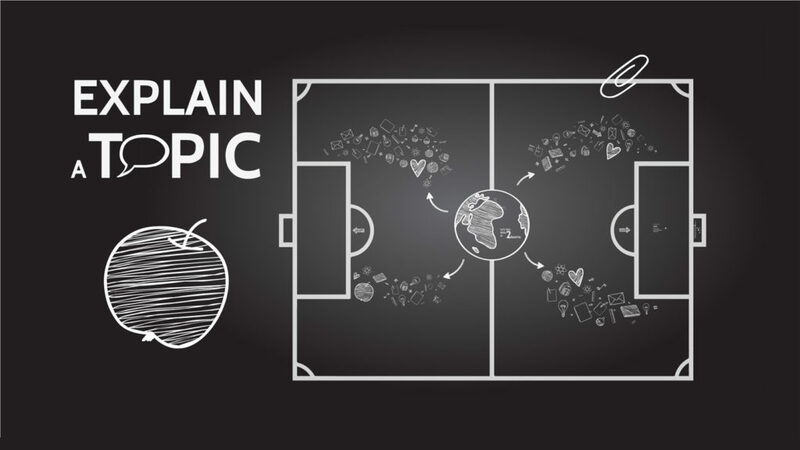 Prezi template with Soccer game and School elements. This entry was posted in Best Prezi presentation templates and tagged and, animated, Best Prezi presentation templates, black, build, dowload, downlaod, download, download prezi, Download science presentation, downloadprezi, drawn, elements, explain, fun, game, or, play, presentaion, presentasi, presentation, presentation video, prezi, prezi.com.